With a fist full of mud and an arm cocked and ready to fire, Tim Pawlenty let er rip into Swine of the Week infamy! On his not-so-veiled presidential campaign trip to Iowa last weekend, the Minnesota Governor was nothing but a lowly mud-slinging politician. T-Paw, who didn’t have time for a special Legislative session to address health care in his own state, instead took pot shots at President Obama. The utmost problem with T-Paw’s jab: It was incorrect. 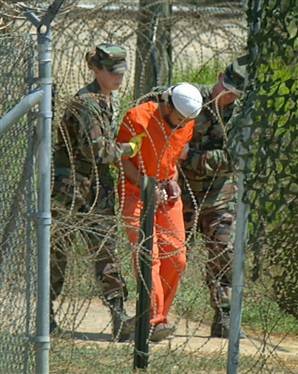 When he said it, detainees at Guantanamo Bay did not receive flu shots nor were they in line to, said Obama press secreatary Robert Gibbs in the week before T-Paw’s rant. That somewhat changed Tuesday with the Petagon announcement of 300 vaccines destined for Cuba. However, they will not even cover the base’s soldiers and health care workers, much less its detainees, who are last in line. Whatever. The point is that when Pawlenty ignores the facts, he looks like a further farce.